This just in: EK Water Blocks has just launched new water blocks for AMD’s Ryzen Threadripper CPUs. What these coolers bring to the table includes, first and foremost, a new cooling plate that will provide better cooling performance. The processors in AMD’s Threadripper family offer impressive multi-threaded performance and with overclocking there is room for more. However, to push your Threadripper PC to the limit, you are going to need top-notch cooling. 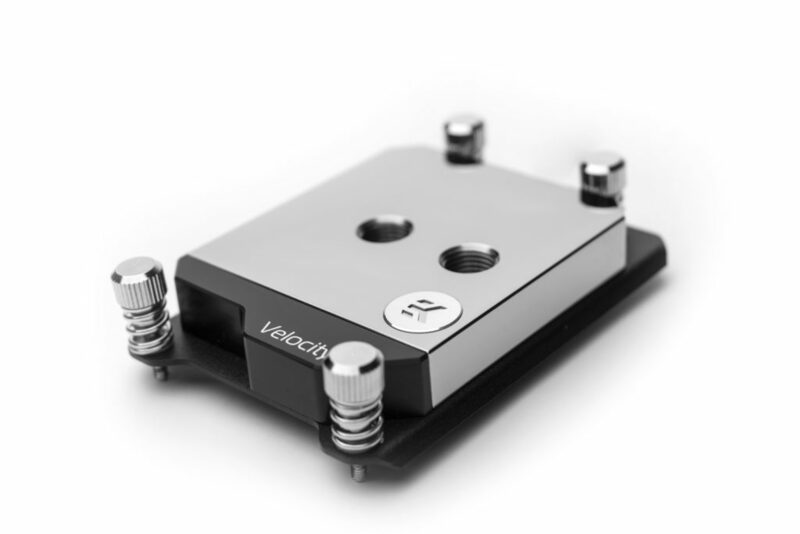 This is where EK Water Blocks comes in, with its third-generation water block called EK-Velocity STR4. As the name suggests it is adapted for the TR4 socket. Among the major innovations in the design is an improved cooling plate that covers the heat spreader and also new fins that will cover more of the heat-generating surface area of the processor. It should also be equipped with 91 small cooling grooves scattered over the water block, which according to the company provides significantly better heat dissipation than the previous-gen products. For now, the EK blocks will bring better cooling to today’s Ryzen Threadripper processors, which are the second-generation HEDT processors from AMD. If you’re in the market for one of these CPUs, however, you might want to wait for the next-generation Threadripper processors based on the Zen 2 architecture. Current Threadrippers are based on four Pinnacle Ridge circuits with eight CPU cores that interconnect and communicate with each other. These are housed below an enormous heat spreader where the EK-Velocity STR4 water blocks should fit nicely. The same is true for AMD’s upcoming Threadripper 3000 series, which will continue to use the same TR4 socket as the current Threadripper processors use. The Ryzen Threadripper 3000 series is likely to be built on a chiplet design, meaning that the processor consists of a number of components that are joined together in one package, instead of the entire processor being built from one piece of silicon. A water block that can cover more of these components is likely to have a better chance of cooling the next generation CPUs. This is due to the chiplet structure where different parts of the processor generate different amounts of heat, unlike processors of more traditional design with a more monolithic structure. The new water blocks are manufactured in different variants with different combinations of materials. There are variants that combine nickel with plexiglass, nickel with industrial plastic acetal and only nickel. Three out of five models also offer RGB lighting. The products can be ordered from EK Water Block’s online store or from selected retailers.